How do our clients really feel about our personal injury law firm? We have been blessed with clients who really love our firm. Attorney Richard Griffin makes sure his law firm lives up to our slogan of “Good People. Great Results.” The “good people” means that our firm consists of a team of good people who are honest, hard working, and who provide the best possible customer service. 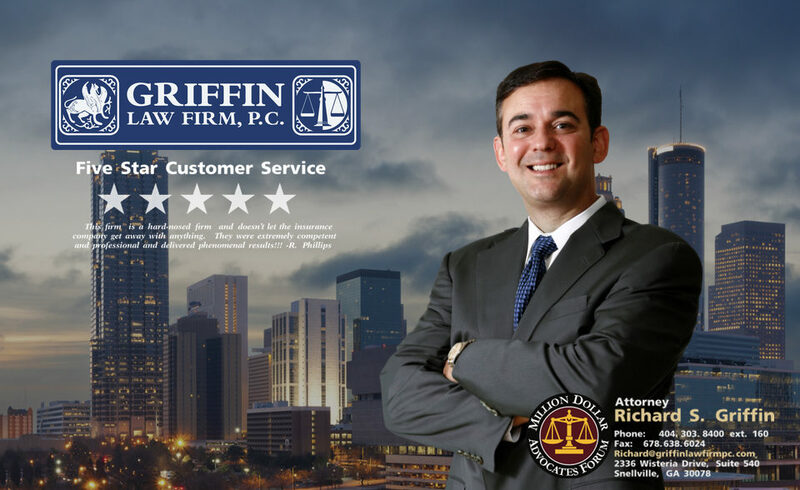 “Great Results” means that the Griffin Law Firm fights for you to make sure you are fully compensated for your personal injury, workers’ compensation, wrongful death, or Social Security Disability claim. Why are client reviews important? Because you really need help when you have a personal injury, wrongful death, workers’ compensation, or Social Security Disability claim. There is a great deal of stress when you are seriously injured because of pain and because of the mounting medical bills, lost wages, rental car expenses, and property damage issues. This means that hiring an attorney who will provide the best possible customer service while delivering great results is critical. Why hire us? Because we will strive to make sure you are completely happy with our representation. When a serious injury occurs it makes life hard. We will help you by making sure you receive the best possible recovery while maintaining an open channel of communication. Hiring the right attorney is the most important factor in determining whether you will be fully compensated or left disappointed. Free Consultation: Call the Griffin Law Firm today at 877-529-7070 or 877-PAIN-LAW. We will gladly answer all of your questions and let you know how we can help you with your personal injury, wrongful death, workers’ compensation, or Social Security Disability claim.